These are our crossbred mares that are not registered with any breed registry but are used on farm for working as well as breeding. If you are looking for a handy type of horse but are not wanting to breed or show as purebreds then one of these mares or their offspring could be what you are looking for. 'Duchess' is her paddock name and she is a registered solid paint mare (PHANZ). Only green and been used as a broodmare mostly. 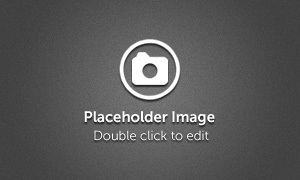 Has been tested 5 panel negative and is an overo carrier. She has been sold and will be heading down South once back in foal to Justa Lil PromisQ s.
Arawood Lace is a very compact little Appaloosa filly by Enriched (Ric O Lena). 5 panel negative. She is in foal to Sierra Hesa Chief and has been broken in over the winter. Back in foal to Sierra Hesa Chief she will be brought back under saddle next year. 'Cheyna' is a young Appaloosa filly recently broken in, currently in foal to Sierra Hesa Chief for a 2015 foal. 5 panel negative. At 15.1 hh she is suitable for any discipline. 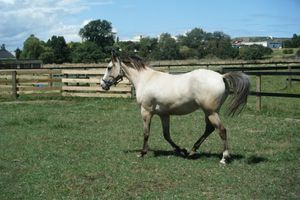 Lady is an older appaloosa mare who has had some very nice foals in the past. 5 panel negative. A taller mare over 15hh. Black based she is currently in foal to Sierra Hesa Chief. Blue Eyed Blonde is a registered QH mare. 5 panel negative. Perlino she is quaranteed to give a dilute foal. In 2013 she had a palomino colt to Addicting (for sale) and she is now in foal to Sierra Hesa Chief. A solid mare she has recently been broken in and hacked out on farm, very quiet nature and lovely to handle. 2007 QH mare, 5 panel negative. (A Different Drift x Jacsmart), a great great granddaughter to Poco Bueno she has not been broken in as yet but comes from working bloodlines. Currently in foal to Sierra Hesa Chief for a 2015 foal. She is a very solid mare just on 14hh.